Old school wargaming in nutshell. 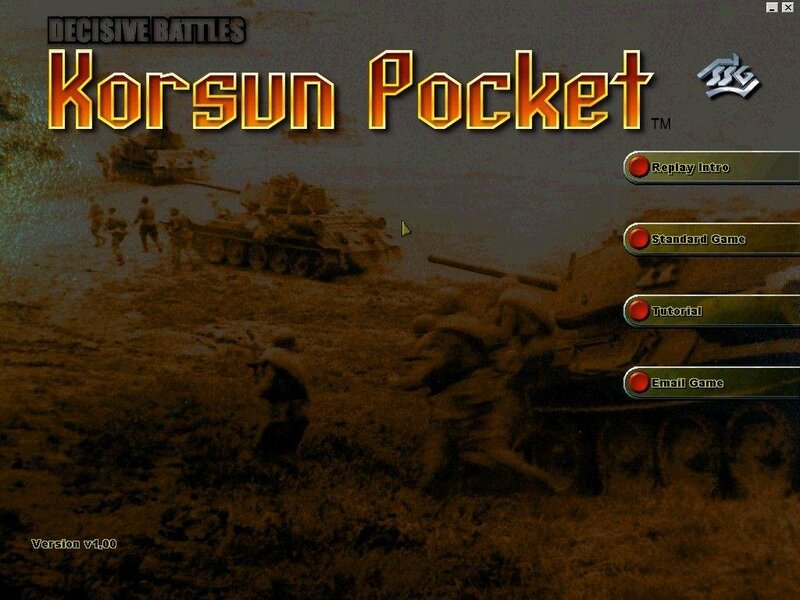 With Korsun Pocket, SSG returns to the genre that died in the 1990s: traditional board game wargaming. You know, with hexes, counters, CRTs, all of that retro stuff. There are even dice to decide who wins a combat. That’s right, computer-generated graphics of rolling six-sided dice. The setting is the ill-fated German advance in the Ukraine in World War II. The Germans were stalled at the Dnepr River and then attacked on both flanks. They’ve suffered huge casualties, losing nearly 100.000 men. 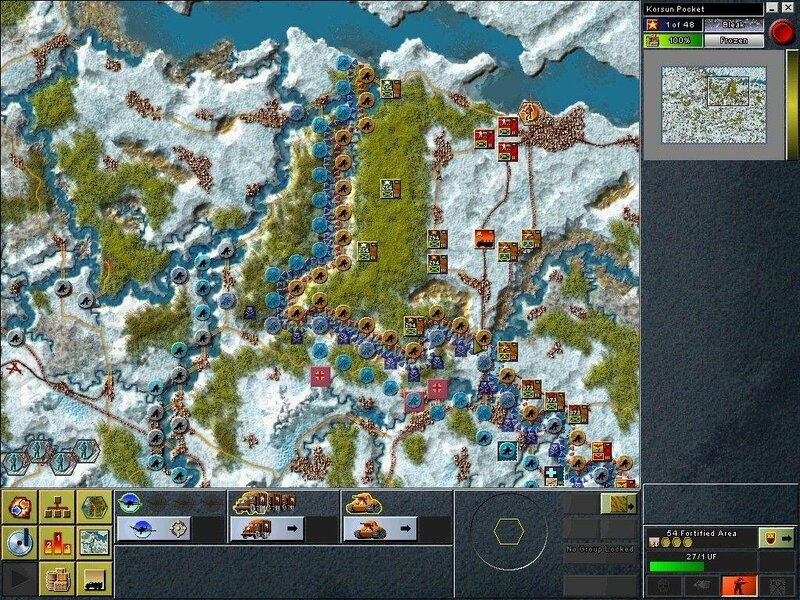 SSG has built this game on the same basic system they used in 1997’s Ardennes Offensive, which is updated and included here. 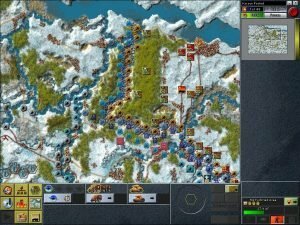 Although this extra battle gives Korsun Pocket a bit more variety than the traditional style of one box/one battle, it would have been nice to see more battles and maps like SSG’s earlier wargames. 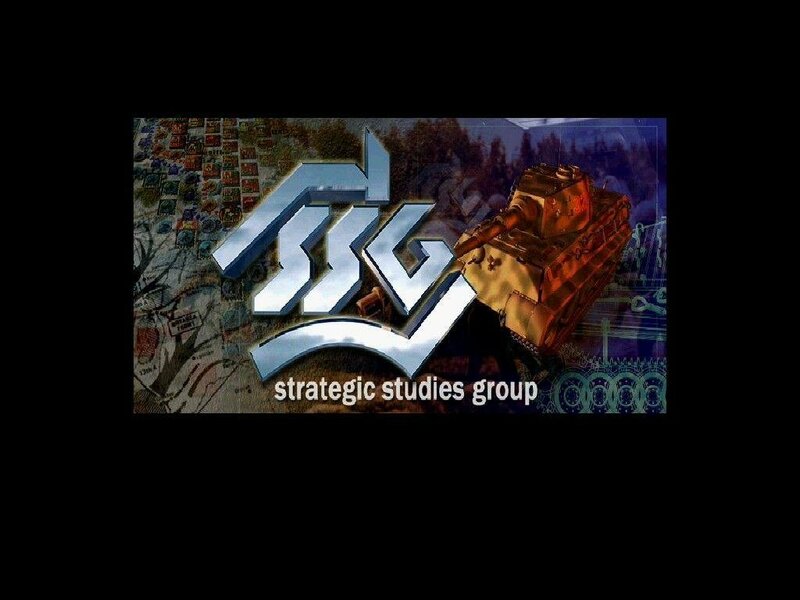 Unfortunately, it’s hard to imagine anyone but grognards getting excited about a single battle, particularly one that doesn’t have the name recognition of Stalingrad or Kursk. There’s a lot of stuff in here—rules for artillery support, the interplay between armor and anti-tank weapons, flanking, minefields, infantry detachments, air interdiction, and so forth—but it’s not at the level of detail you’ll find in wargames by Gary Grigsby or John Tiller. Instead, it’s all created with the type of easily understood abstractions you’d find in a board game. 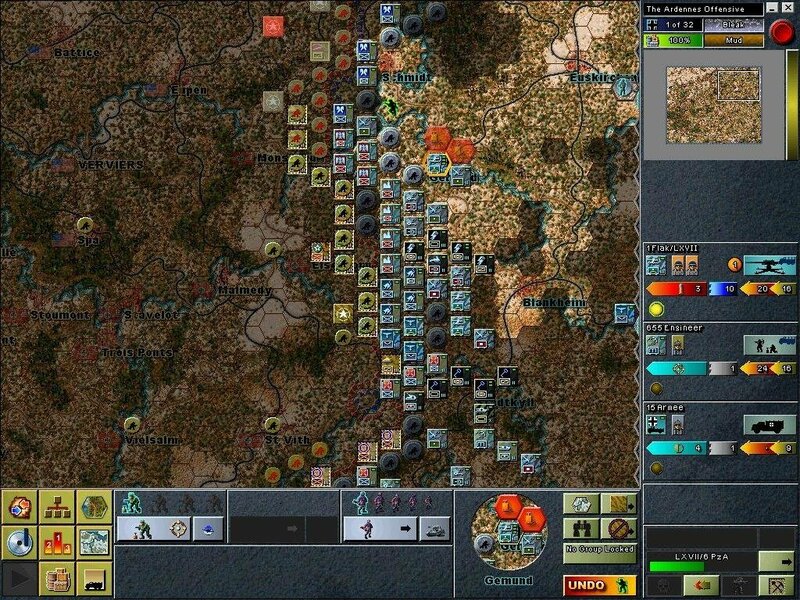 The whole thing fits together elegantly, quickly becoming intuitive and fluid, which isn’t something you can say about many computer wargames. This isn’t about using the power of a computer to crunch a million calculations about shell size, penetration value, and armor angle, just because it can; this is about being so easily understood that everything comes down to that fateful die roll. 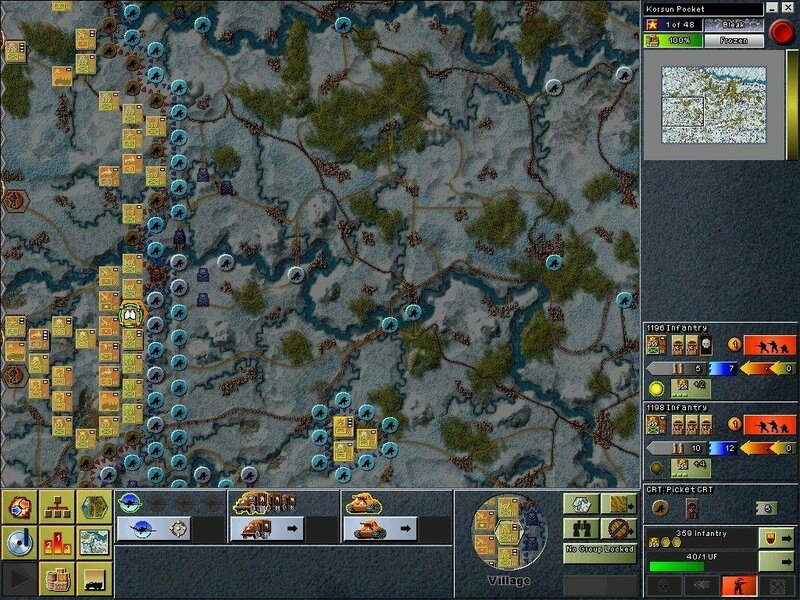 It’s retro wargaming in a nutshell.